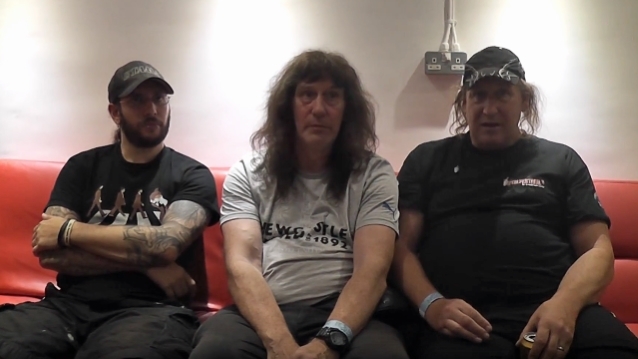 When the British/American metal trio RAVEN left the Skråen stage at the end of November 2017 after its acclaimed concert in Aalborg, Denmark, brothers John (bass, vocals) and Mark Gallagher (guitar) along with new member Mike Heller (drums) didn't foresee their show being recorded for posterity. "We were surprised of course, since nobody had informed us of this beforehand," John Gallagher explains. "We had a flash drive with the recording delivered to us and when we checked it, we realized that — barring some small technical problems — we had a truly magical live recording on our hands. It was a near perfect concert thanks to the great atmosphere inside the hall and our out of control attitude — since, you know, we weren't aware the show was being recorded." It's the unbridled show of a band who has been writing metal history for the last 45 years. As to the differences between the current "Screaming Murder Death From Above: Live In Aalborg" and earlier RAVEN live recordings? "We have, of course, gotten better and better on a technical level over the years. Also, on 'Destroy All Monsters/Live in Japan' (1996), you can clearly hear that I was wrestling with voice issues due to a bout of laryngitis. And if you compare 'Screaming Murder Death From Above: Live In Aalborg' with 'Live In The Inferno' from 1984, it almost seems as if we had taken sedatives back then," Gallagher says laughingly and concludes with: "The Aalborg recording matches the energy which RAVEN is exuding 100 percent. It's the best representation of us as a live band yet." 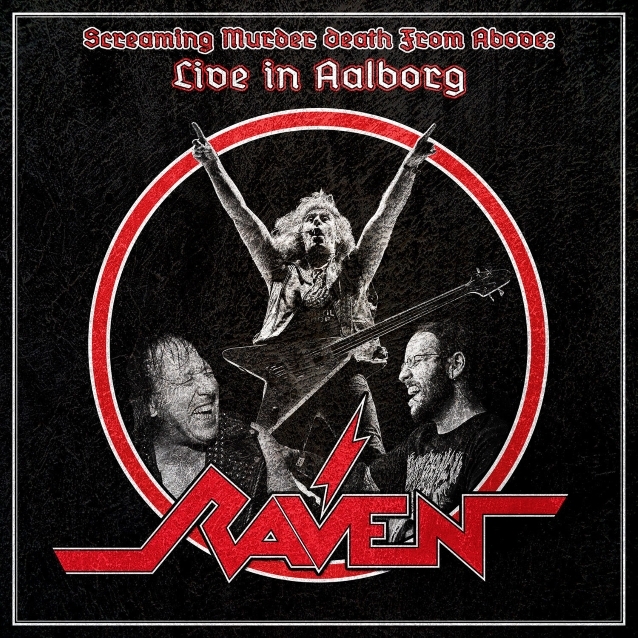 "Screaming Murder Death From Above:Live In Aalborg" will be released through SPV/Steamhammer on January 18, 2019 as CD digipak, 2LP gatefold, download and stream. RAVEN has just kicked off a 27-date North American tour with EXTINCTION A.D. and MOBILE DEATHCAMP. The trek runs through December 1 in Jonesboro, Georgia. 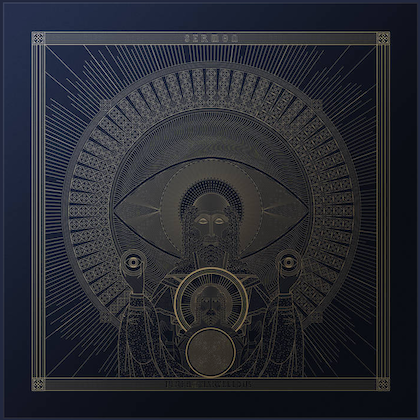 RAVEN is putting the finishing touches on its new album for a tentative early 2019 release. 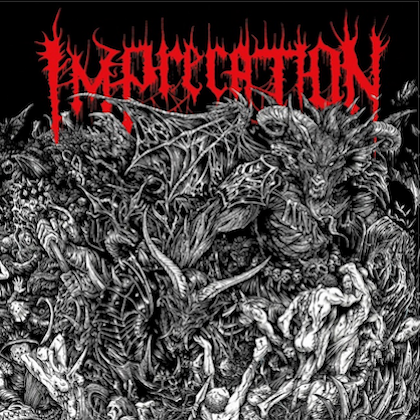 The follow-up to 2015's "ExtermiNation" will mark the band's first effort with Heller (FEAR FACTORY), who replaced Joe Hasselvander last year. Speaking to Mark Taylor of Record Collector magazine before RAVEN's September 5 concert in London, John Gallagher said: "We have a new album in the can, which features this lunatic" — referring to Heller — "very heavily. We're very excited about it. It's definitely a jump forward. There's some very fast music on it, but it's very quirky and melodic at the same time, so there's a real dichotomy in that, which is always in the best RAVEN music anyway."